Abstract-a-licious: Freedom from pressure or the need to make it real. Removing fear and the need for perfection in order to enlarge the artists essential joy in creation. 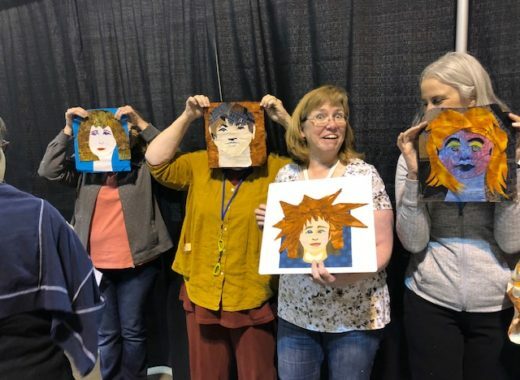 If you’ve looked with secret longing to the world of art quilts but don’t know where to start, this is the class for you. Lyric will gently guide you through concrete exercises designed to help you create ideas for original abstract quilts. 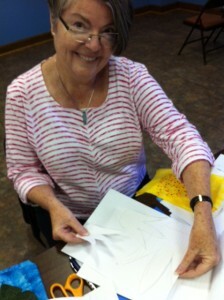 Doodles will be scribbled, eyes and minds will be opened, and fun will be had. 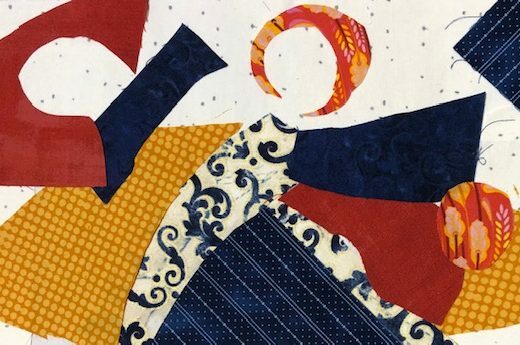 You will learn the basics of fused collage as you assemble your quilt top. 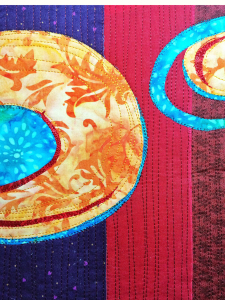 Even students who have never created their own designs before will end the day with at least one small and uniquely original art quilt top. Classroom set-up preferences can be viewed HERE. 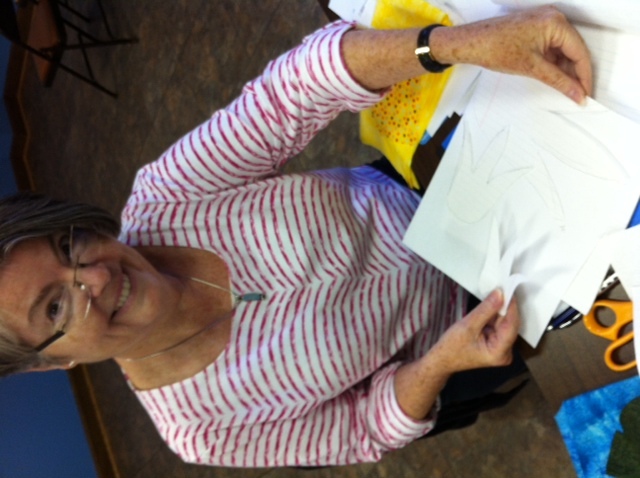 Students in the Houston TX area with their studies for their original abstract compositions. 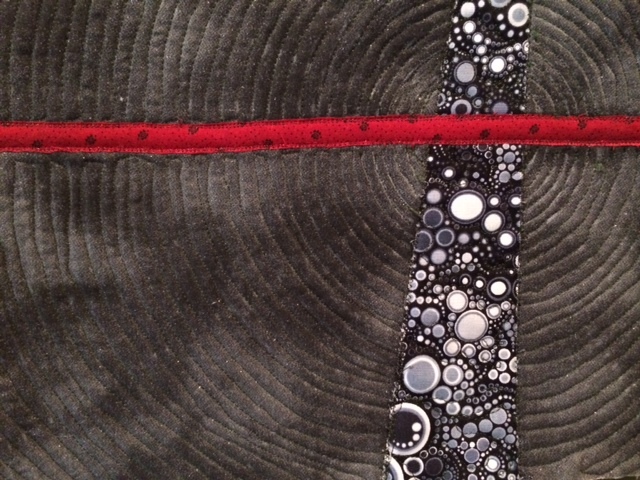 A student plays with the placement of different shapes in order to come up with her own unique and original design for an art quilt. More fun with Abstract-A-Licious Students and their original creations. 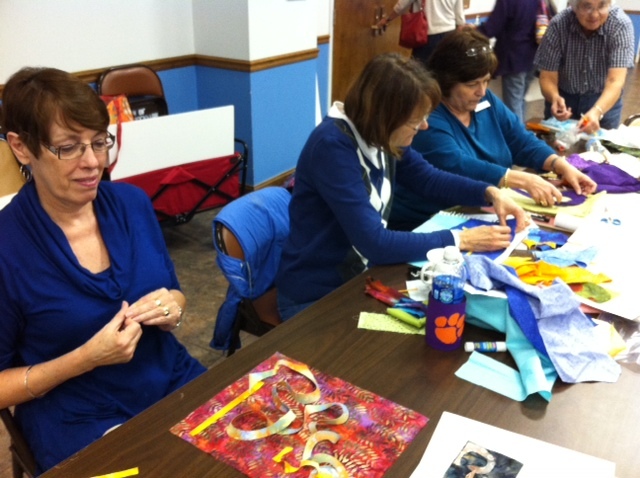 After lunch, students work on a small art quilt top using one of their original designs. 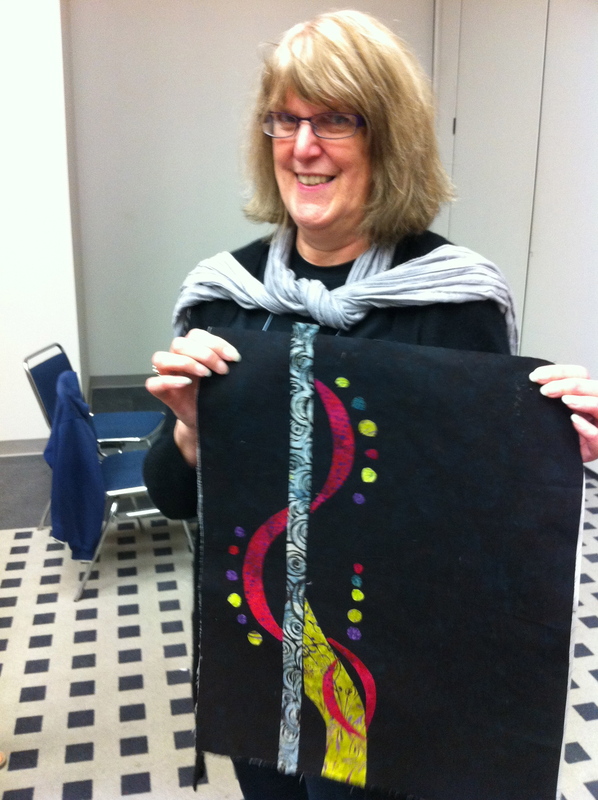 A happy student and her very first original abstract design!